Burbank Sport Nets offers the best complete dugout rail system available. These pro-style rails give any dugout a professional feel and look. This kit includes galvanized pipe rails manufactured to your specific dugout. Lengths of railing are sleeved for shipping and easily assembled and installed. Burbank Sport Nets offers the best complete dugout rail kit available. 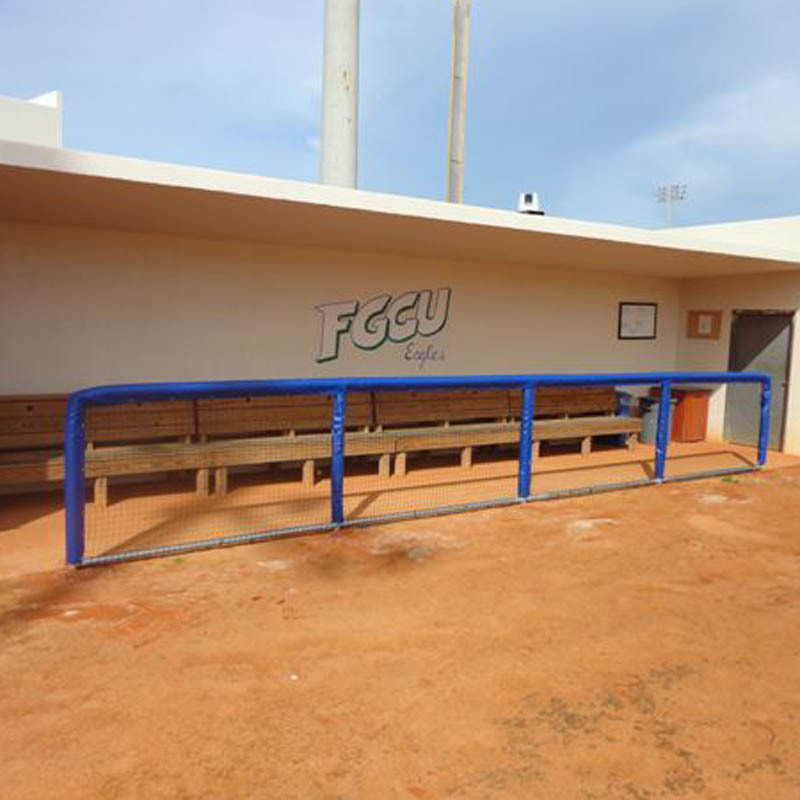 These pro-style rails give any dugout a professional feel and look. This kit includes galvanized pipe rails manufactured to your specific dugout. Lengths of railing are sleeved for shipping and easily assembled and installed. Rails are constructed from 2″ galvanized pipe. Standard 3′ 6″ height with. Vertical post spacing at 8′ standard. 6″ square bolt plates for anchoring to concrete base (concrete anchors included). Call us today to customize your dugout rail.